First, a great organization of the relocation is the key to reduce the time of the relocation itself. A simple checklist with activities and tasks should help you a lot during the moving day. It will give you more free time to supervise the loading and unloading activities, and thus to keep everything in order. Another great hint is to organize your moving checklist quite earlier, like a month or so before the move. Include tasks that you should do two weeks before the move, then tasks that should take place a week before the move, a couple of days before the move and at the moving day itself. Second, give tasks to your family members and helpers. For instance, your strongest family members should be informed in advance to help you with the heavy lifting of some objects. Other family members can deal with the search of the right types and sizes of removal boxes. 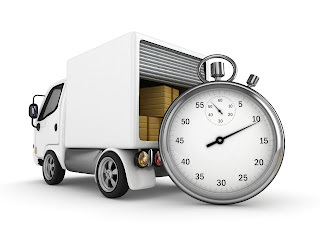 The hustle and bustle will definitely be greater, but you can save much more time at the moving day if your helpers help you with the organizational part and not only with the lifting or the loading of the boxes in the van. Third, for big house relocations like moving all the items from a two-, three- or more bedroom house to another house, it`s recommended to hire a big removal company with different teams for every task. They can help you with the sorting and packing of the items while you are dealing with something else. Moreover, the professional experience of the movers and their expertise ensure the best solutions for some specific cases. Fourth, instead of buying dozens of different boxes for each individual item - go on the bigger scale by buying or renting removal containers. They can fit plenty of objects and thus you have to move just the container with all the items in it, at once. This will save you much time for the loading and the unloading of the moving van, which indeed are some of the most time-consuming activities during the moving day. Fifth, minimize the time spent for the relocation by selecting the shortest and fastest route in advance, especially if you plan to do everything by yourself and when you`re the driver of the van too. Choose a route that has less traffic, but also a main road that is perfect for a higher speed. Use a GPS or a map to orientate easily if you drive along unknown roads, while another great tip is to highlight a second route for just in case. Sixth, avoid relocating during big national holidays, school vacations and other holidays. Then, most people are coming and going somewhere and therefore you can find yourself in a traffic jam. Seventh, if you plan to hire only a van instead of man with a van - make sure to hire the bestremoval van in Battersea for your relocation. Take into account that the smaller the van - the greater the maneuverability. You don`t want to struggle with sharp turns and small streets in the Downtown of a big city while you are driving a huge removal van with a trailer, for example. That`s why optimizing the cargo space in the removal van is one of the key steps for minimizing the time spent for the relocation. Another great tip is to center the weight of the van while loading the boxes, which will enhance the comfort while traveling.